Three day event, 40 students from across the University "Ss. 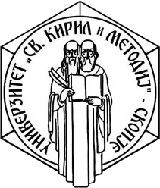 Cyril and Methodius" will have the opportunity to actively participate in training, specializing in these skills. Seavus and Seavus education center are organizing the first conference for new wireless technologies „Next generation wireless"
Workshops as part of the project "Research platform (test bed) for high availability of internet connectivity"